THE UK AVIATION authority says that Ryanair has confirmed it will book passengers whose flights are cancelled onto rival airlines. Ryanair last week announced it plans to cancel 40-50 flights daily for the next six weeks (to the end of October) to improve its punctuality. The UK Civil Aviation Authority (CAA) said tonight that it would abide by a European Commission directive. Following an intervention from the CAA, Ryanair has confirmed to the UK regulator that it will reroute passengers on other airlines. The directive effectively ensures that where there is a significant difference in the time that a re-route can be offered on the airline’s own services, then it would be reasonable to ask them if a re-route could be made on another airline. Decisions on rerouting would be dependent of the specific circumstances and the differences in times and frequency of available flights. The CAA told TheJournal.ie, it would be monitoring the situation closely, to ensure that Ryanair is offering the best rerouting options available to the passenger. The CAA has said that if Ryanair does not fulfil its legal obligations, it will consider its next steps which includes enforcement action. “Passengers affected by the disruption caused by Ryanair’s cancelled flights are protected under EU law. The welfare of passengers must be the priority for any airline experiencing disruption and we fully expect all EU airlines to meet their obligations regarding passenger rights. “Given the fact we have already re-accommodated 75% of our affected customers and given the size of our network, it’s unlikely we will need to, but will do so if necessary, and have been doing so, in full compliance with EU261 legislation. 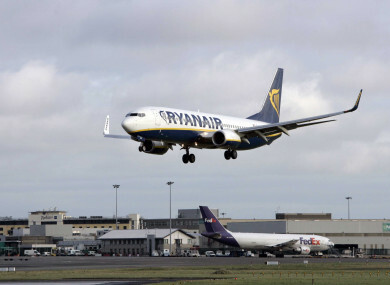 Email “Ryanair will book passengers onto rival airlines - but says it probably won't need to”. Feedback on “Ryanair will book passengers onto rival airlines - but says it probably won't need to”.